NASA will try to land its InSight probe on the surface of the red planet around 8PM SAST on Monday. The robotic lander must survive "seven minutes of terror" before touching down and beginning a series of unprecedented scientific firsts. InSight won't move around Mars, but it could be the first mission to measure the "vital signs" of the planet and decode its internal structure. NASA will also listen for "marsquakes" caused by meteorite impacts and tectonic movements, which could reveal the interior structure of the 4.6-billion-year-old world. You can watch live video coverage of the landing starting around 9PM (SAST) on Monday. On Cyber Monday, while online shoppers hunt for deals, NASA will be trying to stick its first landing of a robot on the surface of Mars in six years. The roughly $830-million mission is called InSight, which is short for "Interior Exploration using Seismic Investigations, Geodesy and Heat Transport." NASA rocketed the InSight probe toward the red planet on May 5. The lander, which weighs about 360kg, is expected to complete a risky descent sequence around 22:00 SAST on Monday, November 26. Part of that process is known as the "seven minutes of terror." If all goes well, the golf-cart-size lander will be the first robot to touch down on Martian soil since NASA's nuclear-powered Curiosity rover, which landed there in August 2012. Scientists hope that InSight's two-year mission will probe Mars in ways they've only dreamed of until now. "All of our past missions have really been surface missions," Robert Braun, NASA's former chief technologist, told Business Insider. "InSight's a very different mission in the sense that it is peering into the past by studying, really, the interior of Mars. In doing so, we're going to learn about Mars, but also about the early history of the Earth." First, however, InSight will have to get safely to the surface. An animation showing NASA's InSight Mars probe in the "seven minutes of terror" entry, descent, and landing phase. 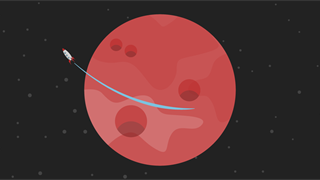 Getting to Mars is relatively easy. That's because modern rockets are safer and more reliable to launch than ever before. In fact, the vehicle that sent InSight toward Mars - an Atlas V rocket built by United Launch Alliance - has had only one partial failure since its debut in 2002. Landing on the red planet, however, is one of the most challenging tasks an aerospace engineer can accomplish. About a third of robots sent there never make it. 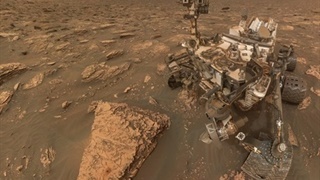 "Although we've done it before, landing on Mars is hard, and this mission is no different," Rob Manning, the chief engineer at NASA's Jet Propulsion Laboratory, said in a video. "." The Martian atmosphere is about 1% as thick as Earth's. But that's still plenty of air to completely destroy a spacecraft like InSight, which will be moving at just shy of 20,000km/h when it arrives at the red planet. NASA tries to take advantage of the Martian atmosphere by putting its robots in an entry capsule with a heat shield. This helps reduce the spacecraft's speed while also protecting it from 1,500-degree-Celsius temperatures - hot enough to melt steel - caused by ploughing through the thin Martian air. However, striking the atmosphere at anything other than the perfect angle - about 12 degrees, Manning said - can end a mission. Any shallower than this, and an entry capsule will "skip" off the atmosphere and out into deep space. Any deeper, and a robot gets vaporised. This phase - when an entry capsule detaches from its mothership and descends - is sometimes called the seven minutes of terror. This is because NASA can't "hear" from its spacecraft for roughly seven minutes, and it won't know if a landing has succeeded or failed until a radio signal arrives (or doesn't). 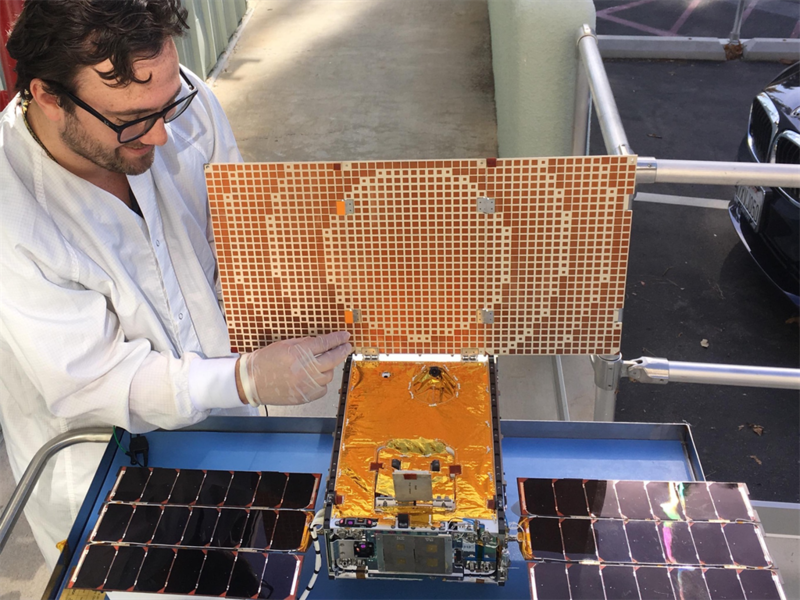 This time around, though, NASA is trying something new: It sent two briefcase-size satellites called MarsCubeOne with Insight. Both cubesats are trailing the lander en route to Mars, and they'll help relay landing data home. "They'll be broadcasting that back to Earth so we know what's exactly happening at each step of the entry, descent, and landing process," Tom Hoffman, the InSight mission's payload manager, said during a press briefing in October. An engineer tests the solar arrays of NASA's Mars Cube One satellite, or MarCO. 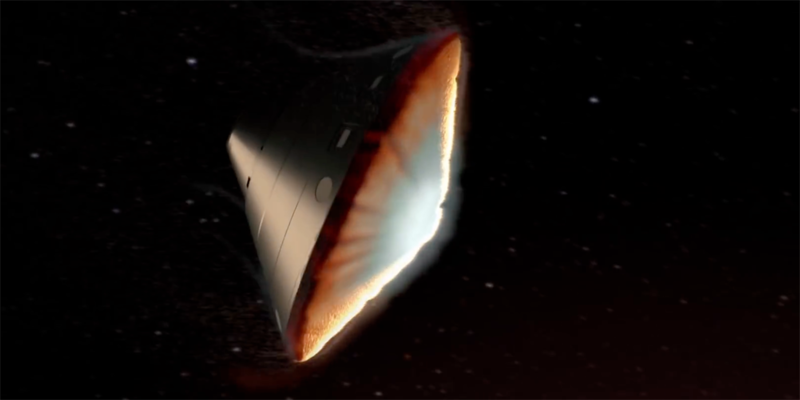 Once InSight ploughs through enough of the Martian atmosphere to not burn up, its entry capsule will deploy a big supersonic parachute, then discard the heat shield seconds later. InSight's dangerous journey isn't over at this point. The robot still has to deploy three landing legs and use radar to calculate how close it is to the ground - NASA can't control the robot remotely in real time because it takes light (and radio signals) about 15 minutes to travel to and from Mars. About 1,600km above the surface of Mars, InSight will drop out of its protective capsule, fire its retro-rocket engines, and try to touch down without crashing or tipping over. A cutaway illustration showing what scientists think the interior of planet Mars might look like. 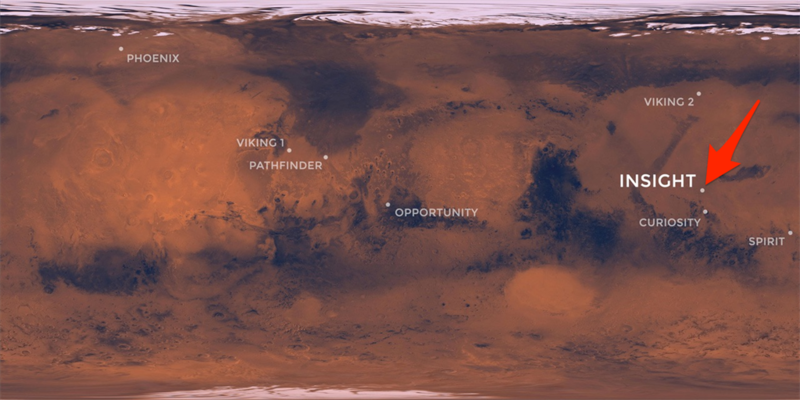 InSight will try to land in a region known as Elysium Planitia, which is a relatively flat place close to the Martian equator. If the robot safely lands and unfurls its two circular solar panels, NASA will begin its mission in earnest. Like InSight's nearly identical predecessor mission, the Phoenix Mars Lander, the probe won't move locations. 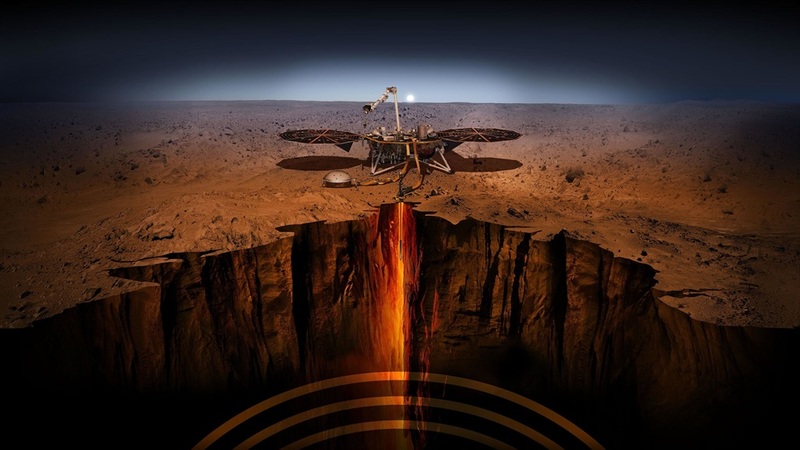 But unlike Phoenix, which dug for water in Martian soil for a few months in 2008, InSight hopes to last for two Earth years. During that time, it will perform the first "checkup" of the 4.6-billion-year-old planet. 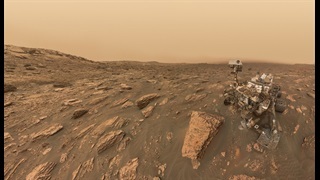 "InSight's goal is to study the interior of Mars and take the planet's vital signs, its pulse, and temperature," NASA said on its mission website. "To look deep into Mars, the lander must be at a place where it can stay still and quiet for its entire mission. That's why scientists chose Elysium Planitia as InSight's home." 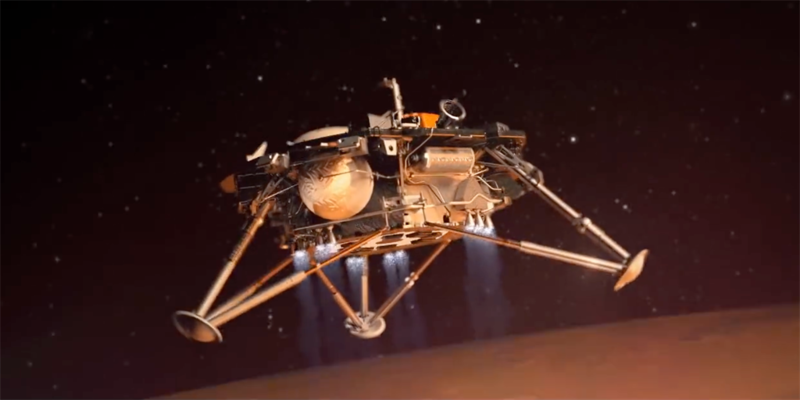 NASA plans to land its InSight robot at Elysium Planitia near the Martian equator. Once InSight is powered up and in communication with Earth, one of its first tasks will be to unfurl a robotic arm. InSight will use that robotic appendage to place a dome down on the Martian surface. The dome will contain six extremely sensitive vibration-detection devices called seismometers. Seismometers on the Earth and the moon (Apollo astronauts deployed some on the lunar surface) have recorded earthquakes and moonquakes, which helped scientists figure out the internal structure of those rocky worlds. On Mars, NASA researchers hope to accomplish a similar feat. Whenever a meteorite strikes Mars, or there's a landslide, or a big blob of magma suddenly shifts, or there's tectonic movement, InSight's seismometer should detect such vibrations. The devices can even record seismic activity from all the way across the planet. 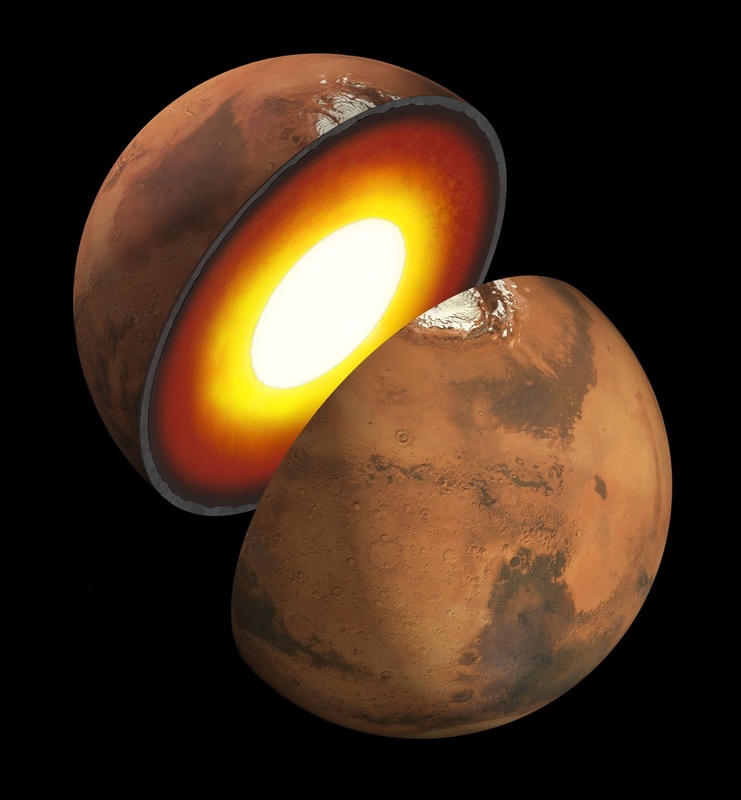 Over time, data about marsquakes could reveal hitherto unknown information about the internal structure of the planet. One of the most challenging tasks InSight will attempt, though, is drilling a heat probe deep into the ground. The probe will slowly drill down and stop every so often to heat up. Then a sensor will detect how long it takes that warmth to dissipate. The probe is expected to dig 4.8m down - far deeper than any previous Mars mission has ever reached with scoops, shovels, or drills. "When we get down that deep, we'll get away from all of the temperature variations of the surface," Suzanne Smrekar, the mission's deputy principle investigator, said during a press briefing. "That tells us about the heat coming out of the planet - that energy that's available for driving geologic activity." Back on the surface, InSight will also use a sensitive radio science experiment to see how subtly Mars shifts during its two-Earth-year-long orbit around the sun. Such data should tell researchers what is going on in the deepest parts of the planet's core. The lead scientists on the InSight mission to Mars, Bruce Banerdt, speaks during a press conference on October 31, 2018. The ultimate goal is to figure out how Mars formed and what happened to the planet since then. Scientists know that Mars once generated an atmosphere-protecting magnetic dynamo, as Earth still does today. 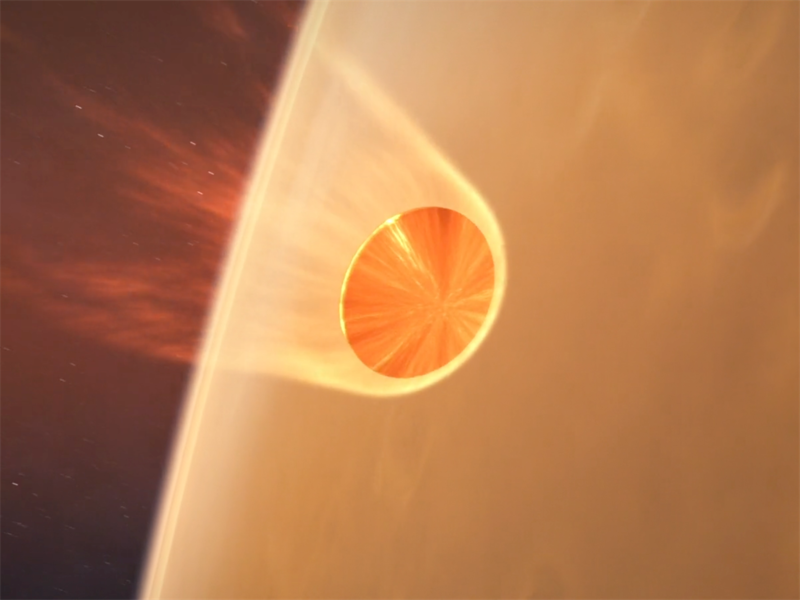 But the Martian core's dynamo eventually shut down and the planet's protective shield faded, which allowed the sun to blow away Mars' atmosphere and oceans of water. In probing that history, scientists think we're bound to learn about our own planet's origins. "Earth ... is a big planet that holds a lot of heat, a lot of energy, and it's been very geologically active over its entire history. So most of the record of the early processes that formed the Earth have been erased," Hoffman said. "We'd like to have a planet that's just a little bit calmer and that can retain that that evidence." This makes sedate Mars, which is similar to Earth but has remained almost frozen in time, the perfect place to go looking.